Neutron Industries is part of a corporate family that started with State Chemical Solutions in 1911. 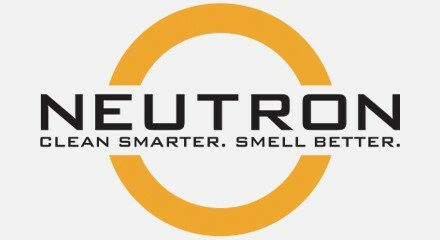 Neutron serves as the inside sales organization for the company’s high quality cleaning and maintenance solutions. Since 1978, Neutron has provided one-on-one service and support to more than 100,000 customers in industrial, institutional and commercial markets. Neutron turned to Genesys Speech Analytics to automate Quality Management (QM) and improve agent skills in order to deliver exceptional service and improve sales. Without the resources to staff a QM department, Neutron lacked insight into how agents were communicating with customers and prospects. While managers were responsible for evaluating agents as part of ongoing coaching and training, call recording was underutilized; they reviewed less than 2% of total phone calls, even though 100% were recorded. Without a process in place to consistently evaluate calls, managers had difficulty identifying which agent skills were most impactful in driving sales. In 2012, Neutron implemented Genesys Speech Analytics, which enables them to automatically monitor 100% of agent phone calls and accurately assess agent performance. A core product within the Genesys Interaction Analytics Solution, Genesys Speech Analytics serves as the Neutron QM function, providing accountability in two functional areas: customer acquisition and customer retention.